It feels strange being ” back” in Canberra. We moved back to the same place so on one hand, it feels like everything is the same. But because I spend more time on the road and moving back and forth between Canberra and Sydney , I feel like I haven’t really moved in, and more like a transient between the two cities. I don’t mind it. It just means there’s more to discover! So on the rare chance that I get to explore Canberra a little bit, I am pleased to discover changes that occurred in the last 5 years. Of course, the first thing I looked out for were hotels. Just near our place, I saw a couple of new hotels that looked very chic . I checked the Visit Canberra site, and lo and behold, our tiny capital now holds over 140 hotels / accommodation properties! If I ever get the time to be in Canberra for more than 2 weeks, I’m making it my mission to discover the city’s luxury hotels. I’ve short-listed the top 5 hotels I want to discover while I’m here. In terms of big chain names, Hyatt Hotel Canberra is the sole hotel in this category. Just a kilometre from the Parliament House, Hyatt Hotel Canberra is a popular choice for visiting politicians. It’s not all serious business though, as they serve afternoon high tea in their heritage listed Tea Lounge. Parliament House, Australian War Memorial, National Museum of Australia, National Gallery of Australia, Old Parliament House and Australian Institute of Sport. 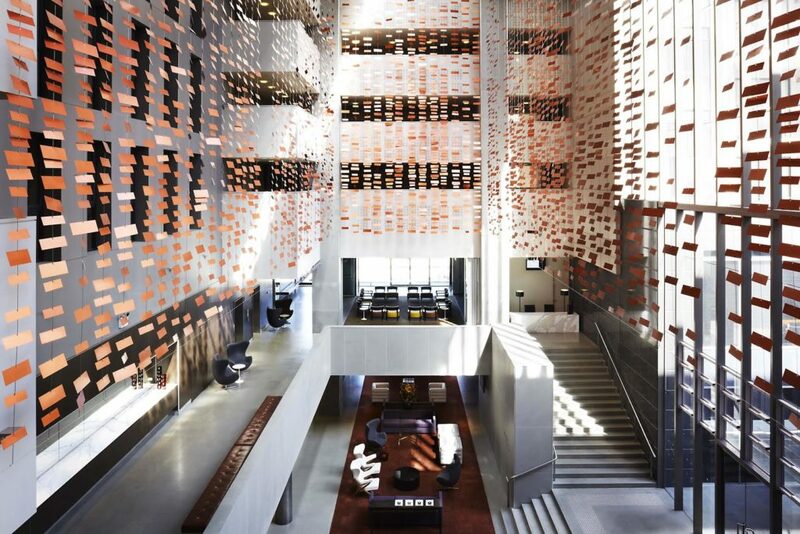 Hotel Realm is surrounded by government offices – the Parliament House, the National Gallery of Australia, Department of Foreign Affairs and Trade and the National Library of Australia. Hotel Realm has a very modern and hip vibe, with 5 bars and restaurants. I used to work nearby and I remember many after-work nights at their bars/restaurants, which are always packed after 5PM, especially on Friday nights. I’m very, very intrigued by this hotel! Hotel Hotel, whose slogan is “A place for people people”, is like an eclectic village in one compound / building. Apart from accommodation, they also have two cinemas, a library, a bicycle shop, a spa, salon, an art gallery and a pilates and yoga studio. With 68 rooms in total, they have four categories of rooms : Cosy, Original, Creative and Meandering, each with original design and inspired by the Australian shack. Clay rendered walls, salvaged oak beds, overhead rain showers, uniquely chosen artworks in each room, and restored furniture. The vibe reminds me of quirky and hipster Iceland or Scandinavia. And because Hotel Hotel seems to have a lot of activities within its compound, I can see this as a perfect spot for staycations. QT, the boutique and chic brand from GHA (Global Hotel Alliance), has made it possible for luxury chic and politics to meet in the nation’s capital. 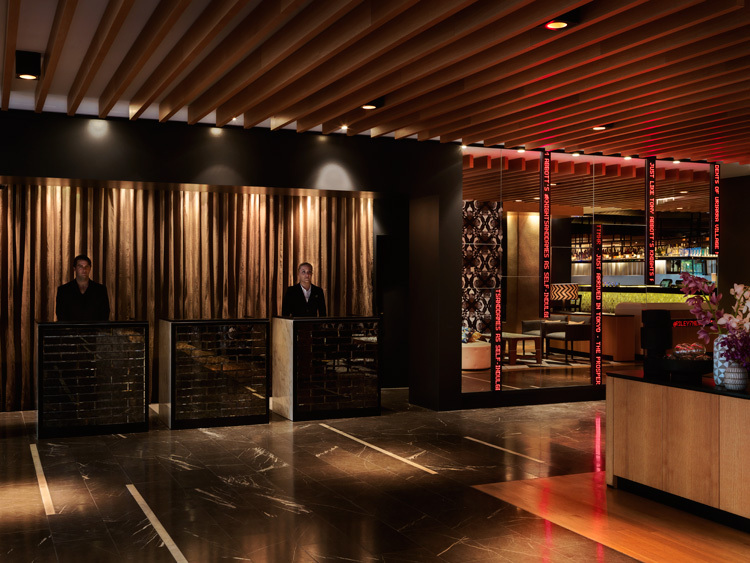 With 5 hotels all over Australia ( Sydney, Gold Coast, Port Douglas, Falls Creek and Canberra), QT is known to adapt its “luxury with a touch of quirk” style based on the city location. They also have an Italian restaurant, a bar, and the QT lounge which also serves drinks. QT Canberra also has an antique-style barbershop that offers a 20-minute classic straight-edged razor shave called “The Don”. I have to say that among this list, this is the accommodation that excites me the most! 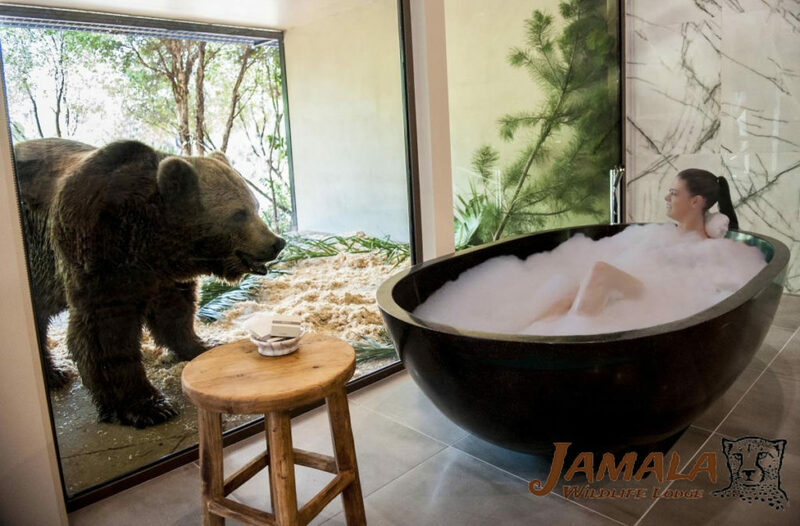 This is Australia’s first all-inclusive luxury lodging experience where you literally get to live up close and personal with wildlife. The bungalows, tree houses and lodges look really spacious (not to mention luxurious) and to me, more than the accommodation, it is the experience itself that is luxurious: Rates include afternoon tea, an exclusive afternoon tour, a three course dinner party, drinks, then a light breakfast and another exclusive tour the next morning. There are other luxury and boutique style accommodation in Canberra but those 5 are the ones that top my list of hotels to stay at while in Canberra. 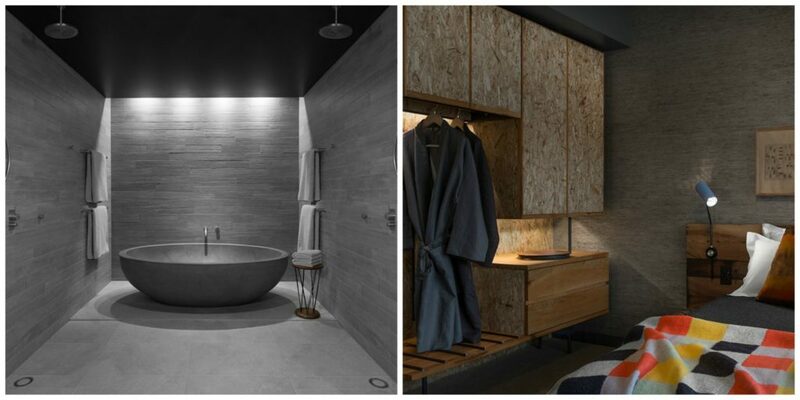 You see, luxury in Canberra hotels has a distinct, modern style – they are not overly ostentatious, and I see the lack of big chain names as an advantage because it allows local and smaller independently-owned hotels to design their own product experience suited to Canberra. I love how Canberra is growing its accommodation choices especially in the luxury / business traveller market and this is something I look forward to exploring ! Have you been to Canberra? What do you love most about the capital? Love a quirky boutique hotel. I’d go for Hotel Hotel, I think. Haven’t been to Canberra for a loooong time. If I was going with the kids, I’ve heard that Easts is great too. Love Canberra, and absolutely loving the foodie scene, we are finally catching up to the rest of the world. QT was awesome, stayed there a few weeks ago, Hyatt doesnt have such a great rep these days, Realm is good…. send a lot of my business clients there, the Wildlife Lodge sounds wonderful, will have to check it out and Hotel Hotel makes me swoon. I stayed in Realm just over a month ago for work and it was the worst hotel experience I’ve ever had. Don’t get me wrong, the surroundings and rooms were lovely and I wanted to love it, but it was a weeknight and I was exhausted and there was a huge function on at the hotel. All was quiet when I got back from dinner, but at 10pm, just as I was drifting off to sleep, the music started in the ballroom, and my room had a window facing into that beautiful atrium that you can see in your picture. So it was like my bed was in the middle of the ballroom. What annoyed me the most was that there’d been no warning when we’d checked in. No warning and no telling us what time it would end, which probably would have soothed my frazzled nerves. There was also no apology when I complained about it when I checked out. Ive stayed at all of those but the QT (but perhaps that will be next)! Jamala is something else-so uniquely gorgeous! 🙂 There are some great options in Canberra! We were in Canberra last month for the Australian Running Festival and we had the best time. We stayed at the QT which was fantastic. If you sign up for the Rewards programme, you can get up to 20% off room rates and food and drink in the hotel. It was proper quirky, brilliantly located and with good eating and drinking options. Canberra in autumn is just so pretty, there is so much to see and do. I always like to visit the War Memorial and we went to Old Parliament House for the first time, and loved it. Canberra has changed so much in the last few years, there’s so much new building and a plethora of cool eating and drinking options, I can’t wait to go back. That Wildlife Lodge looks ah-mazing!